Independence Day celebration on 15/08/2009. Free physiotherapy camp at Peeranwadi subcentre from 17th to 22nd august 09. Teacher’s day celebrated on 5/9/2009. Gandhi Jayanti celebrated on 2/10/09, a peace march was organised on the occasion. Book exhibition was organised at university level & institute organised Essay & Slogan competition in association with Bombay Sarvodaya Mandal & Gandhi peace centre, Australia on 25/9/9. Free physiotherapy camp conducted on 16/11/09 at Machche. 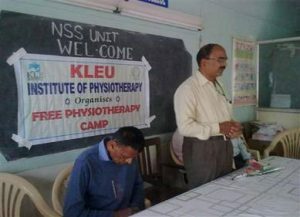 Free Physiotherapy Camp conducted at physiotherapy OPD, KLES Dr. PKH & MRC, Belgaum from 28th to 30th Dec 2009. 10 volunteers participated in a rally organised by Nehru youth centre & Bramha kumari Ishwariya Vishwavidyalaya on 12/01/10. Republic day celebrated on 26/1/2010, on the same day blood donation camp was conducted by college. Ateeq-Ur-Rehman student of the institute participated in State Republic day celebration as left marker of the boys contingency of NSS at Manekshaw parade ground which won 2nd prize at the hands of his Excellency Shri H R Bharadwaj, Governor of Karnataka. Staff & PG students participated in Free camp for chicken gunya patients held at Manjri on 28/1/10. Free physiotherapy camp conducted at Peeranwadi subcentre on 28/1/10. NSS Special Annual Camp, Guramatti from 23/3/2010 to 29/3/2010. Free Physiotherapy Camp at Polyclinic from 15/04/2010- 17/04/2010. Polio Awareness Camp, Kinaye on 15/05/2010. Disability Evaluation Camp, Kinaye from 15/6/2010 to 19/6/2010. 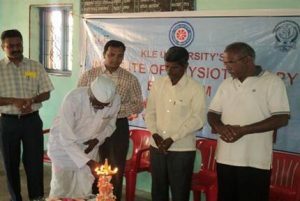 Free Physiotherapy Camp at Karnataka Milk Federation (Nandini), Belgaum from 30/08/2010 to 31/08/2010. Blood Donation Camp on 29/10/2010. 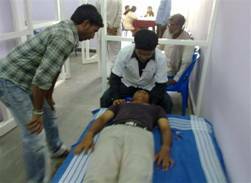 Free Physiotherapy Treatment and Check up Camp, Bailhongal from 7/12/2010 – 9/12/2010. 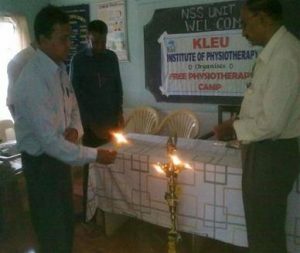 Free Physiotherapy Treatment and Check up Camp, KLE’s Dr. P. K. Hospital and MRC, Belgaum from 20/12/2010- 22/12/2010. 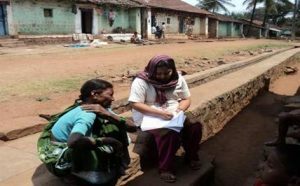 Disability Evaluation Survey, Peeranwadi from 26/12/2010 – 4/01/2011. Free Physiotherapy Treatment and Check up Camp, PHC Uchgaon. from 17/01/2011 – 21/01/2011. Inter Institutional NSS activity from 14/03/2011 – 19/03/2011. NSS Special Annual Camp, Shivapur from 25/03/2011 – 31/03/2011. Free Physiotherapy camp held at sub-centre Peeranwadi on 28/01/2010.Dr Soudagar medical officer, inaugurated the camp Dr Sanjiv Kumar, Principal, NSS Officer Dr Basavaraj Chandu & Dr Vijay Kage were present on the occasion. Total 72 patients took benefit of this camp. NSS Camp, Guramatti. Chief Guest - Shri Ashok Deshpande, Social Worker. 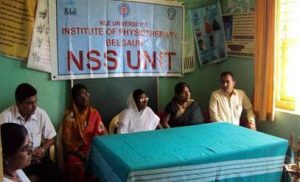 24/3/2010 - Dr S M Katti, professor JNMC spoke on Mother & Child Health Care. 25/3/2010 - Dr Shrishail Metgud, professor JNMC spoke on ‘First Aid’. 26/3/2010 - Free Dental check up camp was conducted with the help of KLEU V K Institute of Dental Sciences, Belgaum at Iddalhond. 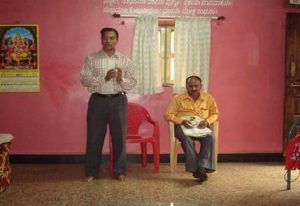 27/3/2010 - Scheduled lecture by Dr Shivaswamy on Nutrition & Cleanliness could not be conducted as he was not available. Free medicines were distributed for pain & diarrhoea. 28/3/2010- Cleanliness Awareness Programme & Disability Evaluation Survey. 29/3/2010 - Soakage pit of 5x3x10 feet each was dug beside the water tank, near the school for preventing wastage of water with the help of villagers. In presence of Dr Saudagar, medical officer, PHC, Kinaye, Dr Sanjiv Kumar, Principal, KLEU IPT, Dr Basavaraj Chandu, KLEU IPT, Belgaum. 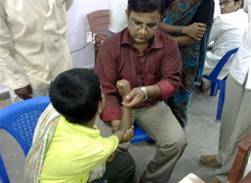 Dr. Saudagar spoke about Polio and explained about the importance of physiotherapy. Our Postgraduate student explained about the role & physiotherapy treatment in Polio. 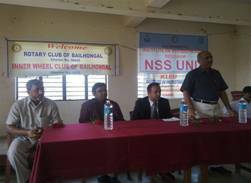 Chief Guest - Mr.Mulimani, District NSS Nodal Officer. Total number of Houses- 140. In the presence of Dr. Rajshekhar, Dr. Sanjiv Kumar, Principal, KIPT, Belgaum, Dr. Basavaraj Chandu, NSS Unit incharge & Associate Prof., KIPT, Belgaum & All the staff members and Students of KIPT. Inauguration - 07/12/2010 at 10.00 am. In the presence of Dr. V.S. Sadhunavar, Director KLE Society, Belgaum & Kittur Rani Channamma Urban Credit Co-op Society, Bailhongal was the chief guest for the function. Shri. Rajshekhar. Metgud, President Rotary Club of Bailhongal, Dr. Santosh Metgud & Dr. Anand Hegannavar, Asst. Prof. KLEU Institute of Physiotherapy, Belgaum. No. of patients benefited were 125. Patients with the complaints of Osteoarthritis knee, Rheumatoid Arthritis, Piriformis Syndrome, Cervical & Lumbar Spondylosis, Arnold Chairi Malformation, hemiplegia, Low Back Pain, Post Fracture stiffness, Chikun Gunya, De Quervain’s disease, postural Deviations etc. took benefit of this camp & these patients also followed up for all these three days. 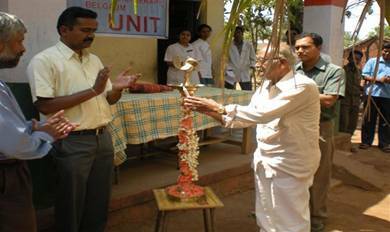 Chief Guest – Dr. Col. Hosalli, Director Clinical Services, Dr. PKH & MRC, Belgaum. No. 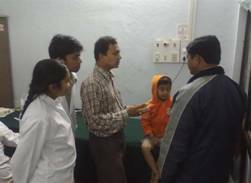 of patients benefited from the camp – 91. 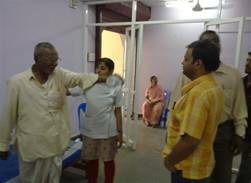 Patients with complaints of OA, RA, PIVD, cervical & Lumbar spondylosis, Hemiplegia, CP, etc took benefit of the camp. It was carried out by the staff and students of KLEU IPT, Belgaum. No. of patients benefited from the camp – 332. 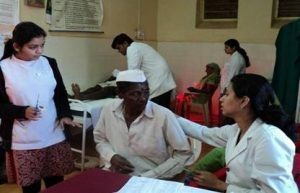 Patients with CP, PIVD, OA, Hemiplegia, Frozen shoulder, Tennis & Golfer’s elbow, Cervical & Lumbar Spondylosis, Ataxia etc were treated & followed up during the camp. 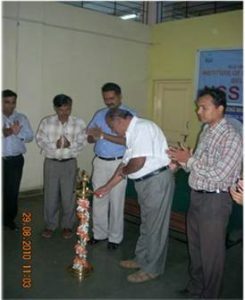 Our team participated in the NSS Annual camp of KLEU College of Pharmacy, Belgaum from 14th- 19th March, 2011 held at Mutaga on 16/03/2011. 39 patients were evaluated & treated. Dr. Basavaraj Motimath & PGs participated in this activity. 11 students ( 2 first year & 9 second year BPT) participated in a special training programme organized by YOUTH FOR SEVA a NGO where they were trained to volunteer social activities at Sant Meera high school, Angol, Belgaum on 5th & 6th of march 2011. 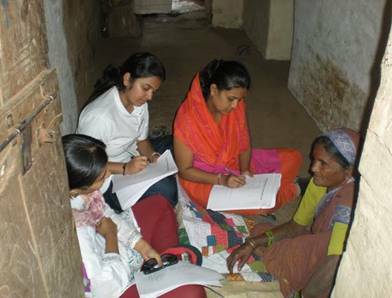 5 of these trained volunteers along with BIMS volunteers performed a survey of 100 houses in shivbasavanagar, Belgaum, to find out about health, education & socio-economic status of residents. Chief Guest – Shri Suresh Hanji, President SDMT, Shivapur. Guest of Honor – Shri S. M. Ladi, PDS distributor, Shivapur. President – Dr. Sanjiv Kumar, Principal, KLEU IPT, Belgaum. Physiotherapy check-up & treatment was done on all 7 days. 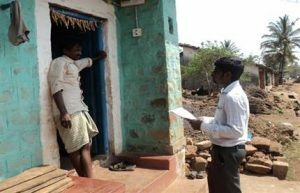 26/03/2011 – Awareness programmes to farmers regarding Organic farming & Environment Protection by Dr. S. N. Mulimani, NSS District Nodal Officer, Belgaum in the evening. 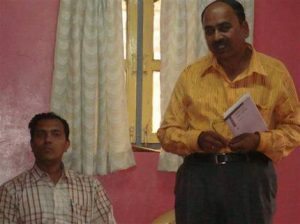 28/03/2011 – Awareness amongst villagers regarding ‘First Aid Treatment’ by Dr. Shrishail Metgud, Prof. Surgery Dept. , JNMC, Belgaum. 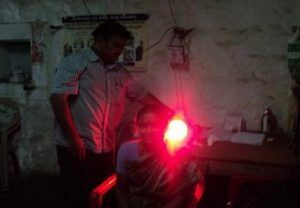 · 29/03/2011 – Ophthalmology check-up Camp by staff Dr. Smitha. S & PGs Dr. Mrunali Dhavalikar & Dr. Prachi Chavan. · 20 patients were assessed. 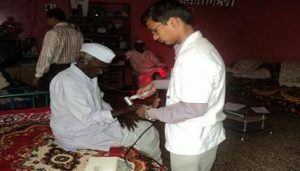 · 30/03/2011 – A Free Dental Check Up Camp was conducted for the villagers & 40 patients took benefit of it. Dr. Nikhil Hadli & team were the part of this Dental check up team. · 31/03/2011 – Physiotherapy check up & treatment were continued and the Disability evaluation Survey was also carried out on this day by the physiotherapy students. Total No. of patients – 200. Dental – 40. · No. of houses Surveyed – 80. Total no. of individuals – 150. No. of impaired/ disabled individuals – 90. - Teachers’ day - Gandhi Jayanti. - Republic day.